Pretty much everyone wants to get their hands on the Nokia N8, but Nokia are keeping their lips sealed when it comes to a specific release date for the device. In Nokia's recent Q2 financial results, CEO Olli-Pekka Kallasvuo revealed that the N8 would be shipping towards 'the end of the third quarter', indicating that a late September release would be likely. However, OPK's words did not help to quieten the spreading rumours of a delayed launch for the N8, with some citing an October release. 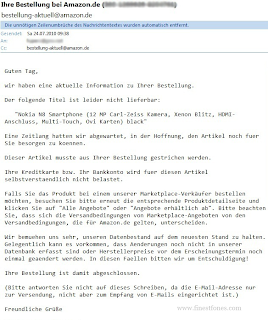 Just two days after Nokia's results were published, Amazon.de cancelled its pre-orders for the Nokia N8. Is this a sign? 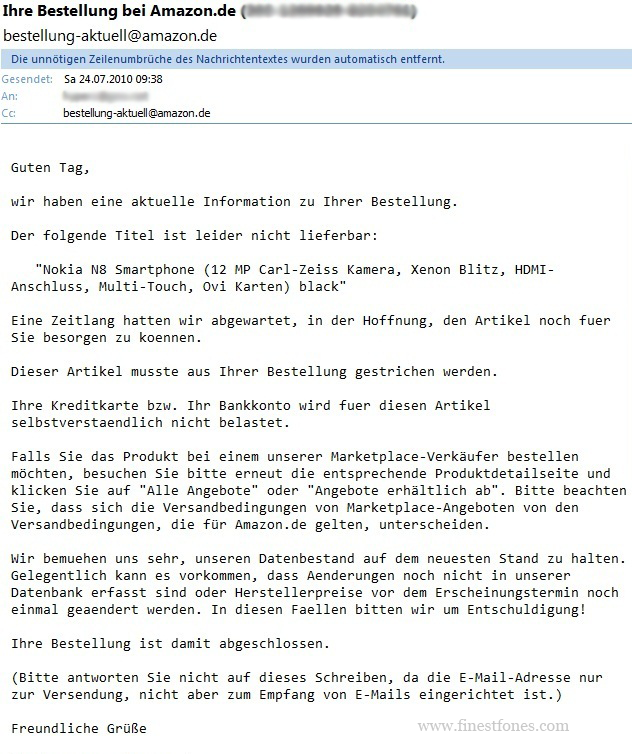 This is the email which Amazon sent to those who have preordered the N8. If you can't read German, what it basically says is that Amazon had waited in hope of getting the N8 in a timely manner, but in the end they had to cancel all preorders. Amazon then says that they work hard to make sure their databases are up-to-date, but occasionally manufacturers make changes to their plans. This could of course mean many things. It's possible that the N8 has been delayed only in Germany. It's also possible that Nokia is expecting so much demand for the N8 that they're limiting the number of units provided for retailers. 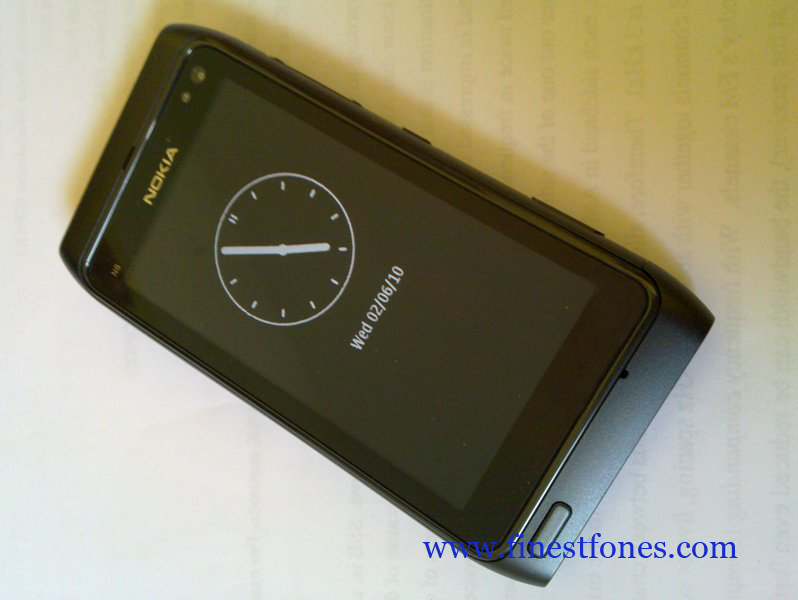 I'm still optimistic that the N8 will be out in August, at least in the UK. yeah... im w8in for my n8 too! but its still so far away! in my country its supposed to be launched only in september ! its killing me!